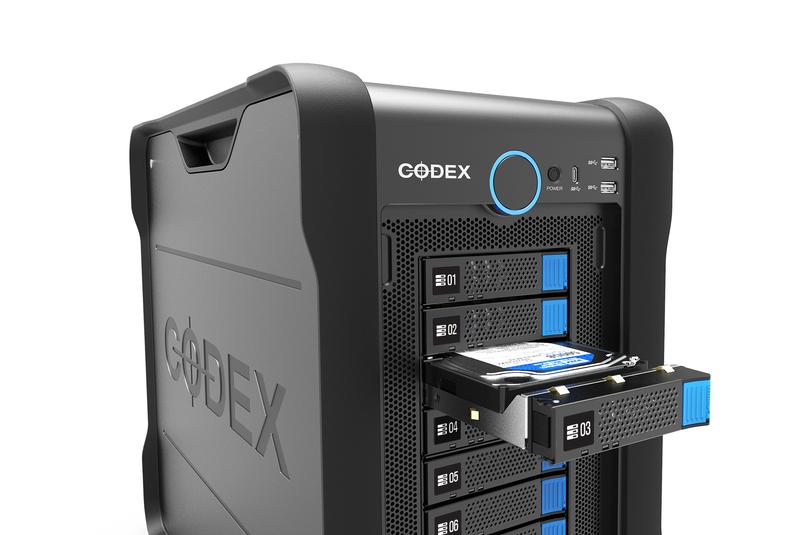 Codex MEDIAVAULT is a networked attached storage solution built on proven technology from an industry leading company. 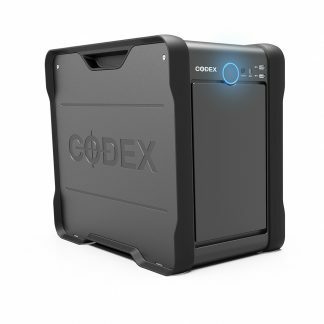 What is the Codex MediaVault? It’s a networkable storage array designed to bridge the gap between production and post. 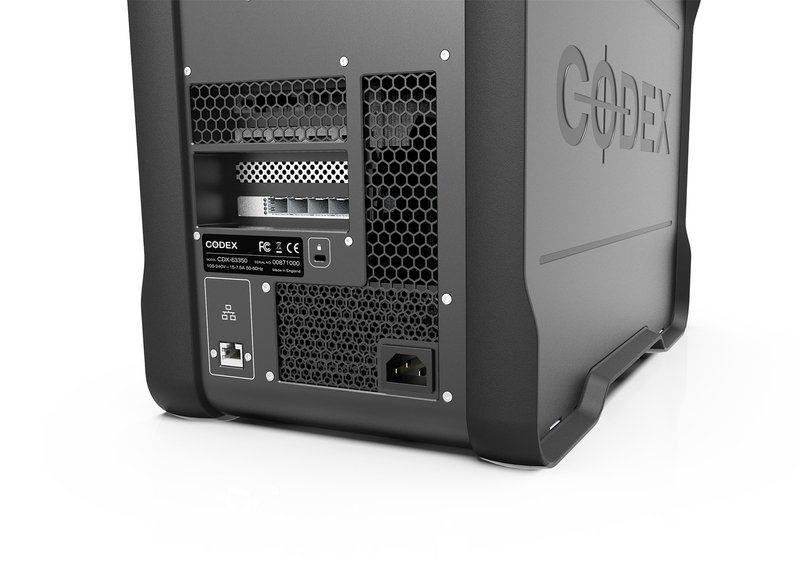 A high performance networked drive solution all packed into a desktop sized unit. It will support multiple users all working concurrently on the usual high capacity formats. Plus it can easily be transported around and doesn’t take up an entire machine room. What sizes is it available in? Currently the Codex MediaVault is available in 48TB, 64TB and 96TB configurations with high-performance HDD or up to 192TB with SSD (call to discuss SSD options). In short, a range of sizes for different requirements and an option for super fast solid state. If you need to plug source drives into it for offload you can. Easily connect USB 3.0 and USB-C storage to the system and share files quickly over the 10GbE network thats built in. 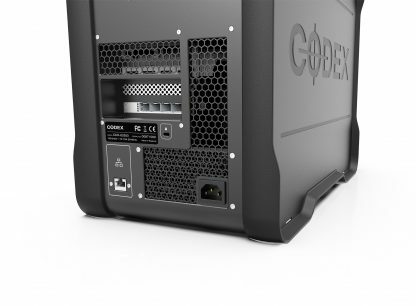 Connect up to 4 workstations over 10GbE or choose dual 40GbE for massive performance. A comprehensive User interface allows you to quickly and easily add users, manage data and monitor drive status and if data security is top of your requirements then fear not, the systems supports Password protected – AES 256 GCM encryption. What kind of warranty support is there? Alongside that, there is 2 drive redundancy and a 3 year warranty with option to extend to 5 years (poa). The Salon Pro Sales team along-with CODEX can happily discuss your workflow requirements to see how a MEDIAVAULT can work for your next production. 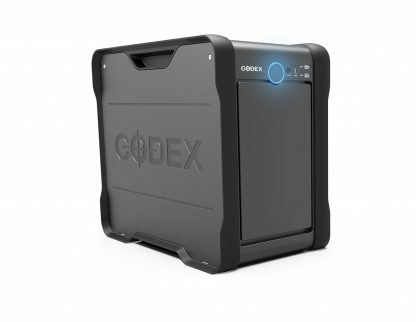 For further info check out the Codex datasheet.